The Fifth Squad is investigating a Robbery that occurred on Saturday, February 20, 2016 at 4:20 P.M. in Elmont. Elmont, NY - February 22nd, 2016 - The Fifth Squad is investigating a Robbery that occurred on Saturday, February 20, 2016 at 4:20 P.M. in Elmont. According to detectives, a male subject entered the Shell gas station located at 1360 Hempstead Turnpike walked behind the counter and demanded the male victim, 24, to open the register. After obtaining an undisclosed amount of US currency the subject fled on foot northbound on Covert Avenue. 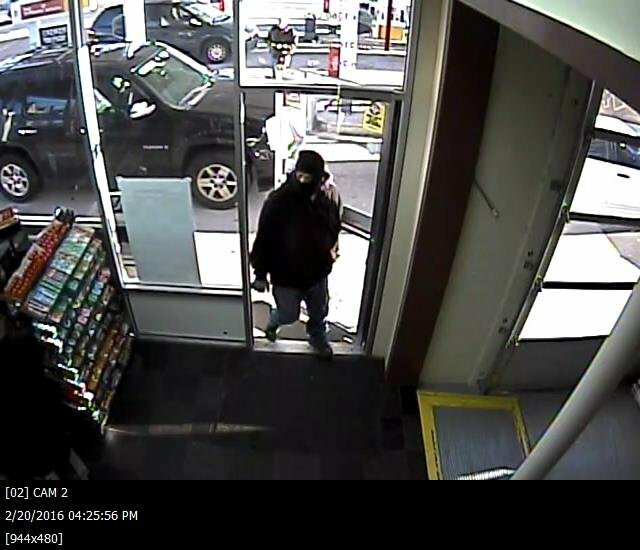 The subject is described as 5’10” tall, heavy build and wearing a black hooded sweatshirt, blue jeans, black ski mask and gloves. Detectives request anyone with information to call Nassau County Crime Stoppers at 1-800-244-TIPS. All callers will remain anonymous. Subject: LongIsland.com - Your Name sent you Article details of "NCPD Crime Alert: Elmont Gas Station Robbery Under Investigation"